Vernaccia di San Gimignano wines are prominent whites of Tuscany. As we all know, the world-famous Tuscany region of Italy is fully covered with red wines. 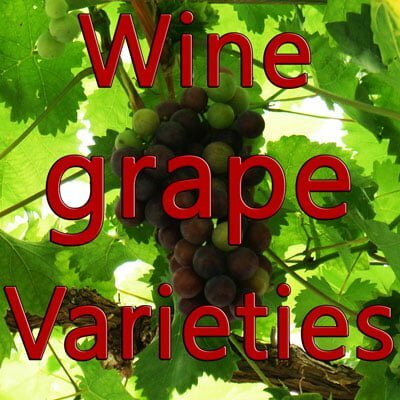 Almost 80% of the region is found to be occupied by the red grape varieties. But, I won’t say that the region is lacking in white wines. If you get a chance to taste the Vernaccia di San Gimignano wines of Tuscany, you too won’t produce such a statement. These white wines of Tuscany are standing out from several other white Italian wines to acquire the topmost position among them. Firstly, the term Vernaccia di San Gimignano represents the white wines that are being produced from the Vernaccia grape variety in and around the San Gimignano town within the Tuscany region. The significance of these wines can be understood when we realize that these have got the DOCG designation. The earliest reference of these wines has been made as early as 1276 in the records of San Gimignano. The term Vernaccia is believed to be originated from the English word vernacular. Yes, you guessed it right! There are many grape varieties being called as Vernaccia referring to the grapes of the particular region. Thus, the grape variety Vernaccia di San Gimignano is belonging and unique to the San Gimignano region of Tuscany. Although these wines were very popular during the historic times, they lost their importance during the early twentieth century, mainly because of the difficulties associated with the cultivation of these grapes. These grapes were then replaced by the Trebbiano and Malvasia. It was only during the 1960s that Vernaccia di San Gimignano reappeared in Tuscany. Who can forget the distinctive and the crispy nature of these wines? Thanks to the vignerons who brought these finest white wines back to the scene! These wines have the pride of getting the first DOC status in the country during the year 1966. In 1993, it was promoted to DOCG status. We could observe that although these wines are prominent in Tuscany and Italy, these are not recognized as much as the red wines in the global market. Nevertheless, these are the most charismatic, as well as distinctive wines from Italy and they deserve a global recognition! Let’s hope for the best in future. So, what make these wines stand out from others? Well, the first thing that could catch the eyes of a wine lover is the colour. These wines would definitely attract the wine lovers with its golden-hued colour. Next, these wines are more powerful and full-bodied. Moreover, these would have a heady floral bouquet that would be very welcoming for the wine lovers. Furthermore, these will be drier and crispier with persistent flavours. Besides these, they are found to have higher levels of acidity and would produce a characteristic aftertaste. We can also enjoy the mineral characteristics that are being offered by the region’s terroir. What more can you expect from a wine drink? As per the DOCG wine appellation laws, the Vernaccia di San Gimignano must be predominantly made from the Vernaccia grape variety. 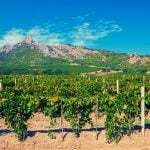 However, the wineries are also allowed to use smaller quantities of other grape varieties like Sauvignon Blanc, Riesling, and other non-aromatic white varieties of Tuscany. In order to be labeled as Riserva, these wines must be produced only from the best grapes and must be subjected to aging for at least one year in the cellars and another four months in the bottles before sale.